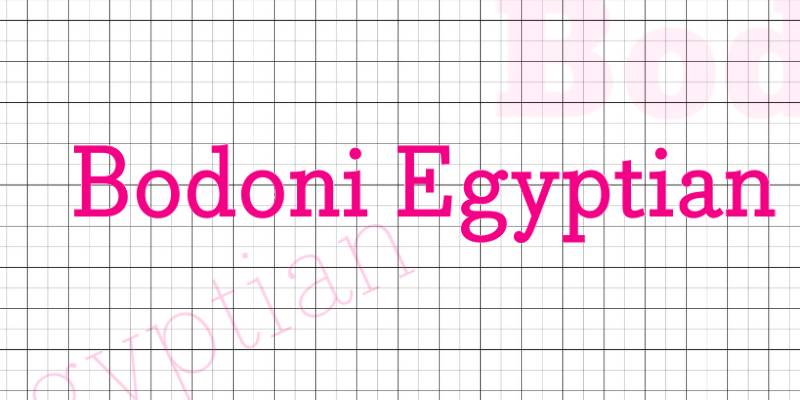 Bodoni Egyptian is a slab serif typeface designed by Canadian designer Nick Shinn and released through ShinnType in 2010. The typeface is a combination of classic didone style and Egyptian style, maintaining core architecture of Bodoni, stripping off its famous high contrast. The typeface is available in various weights: thin, extralight, light, regular, medium, bold, extrabold and black with italics.